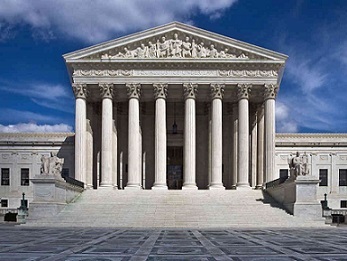 The Class Action Fairness Act of 2005, was intended to limit “forum shopping” of class actions lawsuits, or in a court where the law was most favorable to the plaintiff, even if the location was not connected with the underlying facts. However, the Act did not generally apply to patent infringement cases. As a result most patent infringement suits (44% in 2015) are filed in the Eastern District of Texas, which has a reputation for juries that award large verdicts. When a suit is filed there, there is much pressure on a defendant to settle even if the patent owner’s case is weak. Carmel Indiana’s T.C. Heartland hopes to limit forum shopping. It was sued for patent infringement by Kraft Foods, and the case is now before the U.S. Supreme Court granted certiorari last month on appeal from the Federal Circuit. The dispute revolves around whether the US Court of Appeals for the Federal Circuit opened the floodgates to forum-shopping in 1990 when it adopted an ultra-liberal interpretation of where a defendant business “resides” – and in the proposed solution, which is to interpret Congress’s 2011 amendments to a general venue statute as having implicitly overruled the 1990 ruling. The American Intellectual Property Law Association has filed an “amicus” brief arguing that the Federal Circuit correctly interpreted the general venue statute at 28 U.S.C. 1391 as providing a definition of “resides” in the patent venue statute at 28 U.S.C. 1400(b) Although the Supreme Court in Fourco Glass Co. v. Transmirra Products Corp., 353 U.S. 222 (1957), found the two statutes worked independently, Congress changed the law in 1988 by adding to the general venue statute “for purposes of venue under this chapter.” According to the brief, the deletion of that phrase in 2011 did not return the law to the Fourco rule because it was replaced with the phrase “for all venue purposes.” Nor does the added phrase “except as otherwise provided by law” adopt the Supreme Court’s Fourco rule, the brief concluded. The AIPLA’s amicus brief is below. 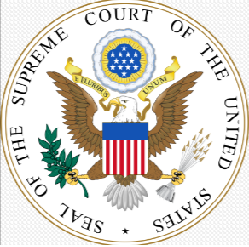 Washington, D.C. – In the matter of Kirtsaeng v. John Wiley & Sons, Inc., the U.S. Supreme Court unanimously held that, among the factors considered in awarding attorneys’ fees under the Copyright Act, courts must give substantial weight to the objective reasonableness of the losing party’s position. The Court was not persuaded that special consideration should be given to whether the lawsuit resolved important and close legal issues, expressing doubt that fee shifting will encourage parties to litigate such issues. While the Second Circuit test is close to what the Supreme Court prescribes, Justice Kagan wrote, in the Second Circuit, “substantial weight” has become “dispositive weight.” However, the Court also stressed that all circumstances of the case must be considered in light of the goals of the Copyright Act, acknowledging that fees may be warranted despite the objective reasonableness of the losing party’s position. The decision is consistent with the position advocated in an AIPLA amicus brief filed in this case. Supap Kirtsaeng, born in Thailand, attended college in the United States. While he was studying in the United States, Kirtsaeng asked his friends and family in Thailand to buy and mail to him copies of foreign edition English language textbooks at Thai book shops, where they are sold at low prices. When publisher John Wiley & Sons (“Wiley”) learned about Kirtsaeng’s sales in the United States at low prices, it sued Kirtsaeng for copyright infringement. In 2013, the Supreme Court ruled in favor of Kirtsaeng, concluding that Wiley’s sales of the books in Thailand exhausted its copyright interest in the U.S. sales under the first sale doctrine. On remand, Kirtsaeng’s motion for attorneys’ fees was denied. In affirming the decision, the Second Circuit relied on the objective reasonableness of Wiley’s position that the first sale doctrine did not apply to extra-territorial transactions. Kirtsaeng asked the Supreme Court to review the attorney fee decision. Justice Kagan noted that Section 505 of the Copyright Act states that district courts “may” award attorneys’ fees to the prevailing party in copyright litigation, but said that the statute provides no standards for deciding when such awards are appropriate. Guidance for fee awards can be found in the Court’s decision in Fogerty v. Fantasy, Inc, she added, which includes a non-exclusive list of factors that further the goals of the Copyright Act. In this litigation, each party asserted a factor believed to merit substantial weight: for Kirtsaeng, it is whether the lawsuit resolved an important and close legal issue; for Wiley, it is whether the position unsuccessfully argued by the losing party was objectively reasonable. The Court concluded that the objective reasonableness of the losing party’s position is more important than the lawsuit’s role in settling a significant and uncertain legal issue. According to Justice Kagan, Wiley’s proposal “both encourages parties with strong legal positions to stand on their rights and deters those with weak ones from proceeding with litigation.” The copyright holder with no reasonable infringement claim has good reason not to sue in the first instance, she explained, and the infringer with no reasonable defense has every reason to give in quickly, before each side’s litigation costs mount. Fee awards are a double-edged sword: They increase the reward for a victory–but also enhance the penalty for a defeat. And the hallmark of hard cases is that no party can be confident if he will win or lose. That means Kirtsaeng’s approach could just as easily discourage as encourage parties to pursue the kinds of suits that “meaningfully clarif[y]” copyright law. … It would (by definition) raise the stakes of such suits; but whether those higher stakes would provide an incentive–or instead a disincentive–to litigate hinges on a party’s attitude toward risk. Is the person risk-preferring or risk-averse–a high-roller or a penny-ante type? Only the former would litigate more in Kirtsaeng’s world. … And Kirtsaeng offers no reason to think that serious gamblers predominate. … So the value of his standard, unlike Wiley’s, is entirely speculative. All of that said, objective reasonableness can be only an important factor in assessing fee applications–not the controlling one, Justice Kagan cautioned. “Although objective reasonableness carries significant weight, courts must view all the circumstances of a case on their own terms, in light of the Copyright Act’s essential goals,” she wrote. The Court particularly acknowledged the serious concerns raised over the Second Circuit approach. While it frames the inquiry in a similar way, the Second Circuit language at times suggests that a presumption against a fee award arises from a finding of reasonableness. That perspective goes too far in limiting the district court’s analysis, according to the Court, observing that district courts in the Second Circuit appear to have turned “substantial” weight into something closer to “dispositive” weight. In particular, the Court acknowledged that hardly any of those decisions have granted fees when the losing party raised a reasonable argument (and none have denied fees when the losing party failed to do so). Without suggesting that a different conclusion be reached, the Court vacated and remanded the case for further consideration in line with this analysis. The U.S. Supreme Court agreed to review a patent case on the law of laches (SCA Hygiene Products v. First Quality Baby Products, U.S., No. 15-927) and a case on the copyrightability of cheerleader uniforms (Star Athletica, L.L.C. v. Varsity Brands, Inc., U.S., No. 15-866). Washington, D.C. – Following a ruling by the Second Circuit Court of Appeals in favor of Google, Inc., the 2005 class-action lawsuit The Authors Guild et al. v. Google, Inc. has headed to the U.S. Supreme Court. Copyright litigators for Plaintiffs The Authors Guild et al. are asking the high court to hear the lawsuit, which alleges copyright infringement by the publication by Google of Google’s digital book library. Plaintiffs contend that Google, which seeks permission from the owners of the copyrighted works (typically libraries) but not from the authors of the works, has committed massive copyright infringement. Amicus curiae briefs have been filed with the Court by numerous parties. Among them are several notable authors including Malcolm Gladwell, Margaret Atwood, and Steven Sondheim. Google has defended against the allegations by arguing, inter alia, that its use of the copyrighted material was permissible as a fair use. 1. Whether, in order to be “transformative” under the fair-use exception to copyright, the use of the copyrighted work must produce “new expression, meaning, or message,” as this Court stated in Campbell and as the Third, Sixth, and Eleventh Circuits have held, or whether the verbatim copying of works for a different, non-expressive purpose can be a transformative fair use, as the Second, Fourth, and Ninth Circuits have held. 2. Whether the Second Circuit’s approach to fair use improperly makes “transformative purpose” the decisive factor, replacing the statutory four-factor test, as the Seventh Circuit has charged. 3. Whether the Second Circuit erred in concluding that a commercial business may evade liability for verbatim copying by arguing that the recipients of those copies will use them for lawful and beneficial purposes, a rationale that has been flatly rejected by the Sixth Circuit. 4. Whether a membership association of authors may assert copyright infringement claims on behalf of its members. 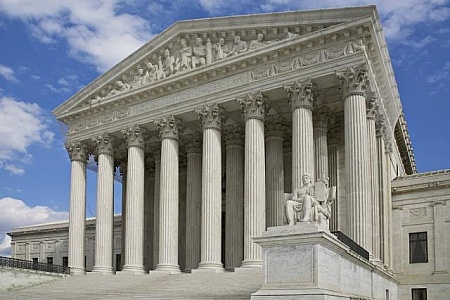 Washington, D.C. – The United States Supreme Court ordered the Federal Rules of Civil Procedure to be amended following last year’s approval of the changes by the Judicial Conference Advisory Committee. Civil Rules 1, 4, 16, 26, 30, 31, 33, 34, 37, 55 and 84, and the Appendix of Forms were affected by this change. The revisions took effect on December 1, 2015. Practice Tip: It appears that the abrogation of Rule 84 will modify the pleading standard for patent litigation, raising it to the higher standard set forth by the Supreme Court in Twombly and Iqbal. It is unclear how federal courts will interpret these revisions. Consequently, Indiana patent attorneys, and especially patent litigators, would be wise to keep abreast of rulings on motions to dismiss for failure to state a claim under Rule 12(b)(6) as well as motions for a more definite statement under Rule 12(e) as the contours of the revised pleading standard in the context of patent infringement litigation are clarified.